The Zen LADAKH, is one of its kind in Leh Town of Ladakh region in J&K state, which provides luxuries centrally heated Hotel and Resort accommodations throughout the year at reasonable and affordable price for all tourists both Indians and Foreigners who wish to visit Ladakh to spend their vacations with family or for some other purposes and wish to make their trip a memorable one with luxuries facilities like indoor fancy type centrally heated modern Swimming Pool having steam bath, Conference Hall to Organize meetings, Gymnasium to take care your health & make you fit & healthy and also antiques shops at your door step etc, then this is the right place for you in Ladakh. 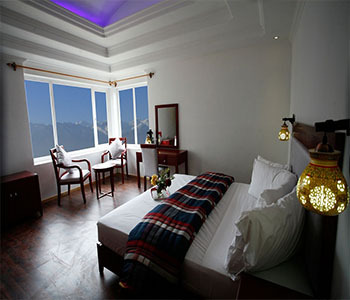 “The ZEN Ladakh” a Grand hotel and resort was recently opened for Tourist in Ladakh, with an aim to provide the best possible Luxuries facilities and enjoy every movement of their stay in Ladakh and to have a comfortable accommodation with modern amenities to its guest, even in the harsh climatic conditions in Himalayan region. 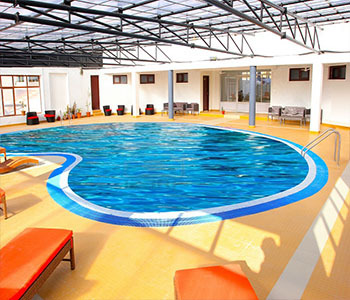 The Hotel also offer range of facilities to its guest like laundry/dry cleaning, Vehicle hiring, doctors on call, lush green garden and car parking etc. 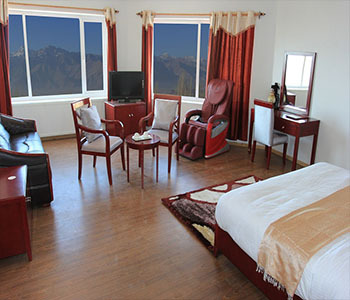 “The ZEN Ladakh” is located at distance of 3 miles away from Leh airport and at few minutes’ walk from the main Leh bazaar and because it’s ideal peaceful location, one can enjoy the beautiful view of glaciers and high mountain while sitting in grand size hotel room or Jacquiezy tub bath or while sitting in lush green lawn / garden well developed in terrace to have a glimpse of beautiful natural sceneries of leh. 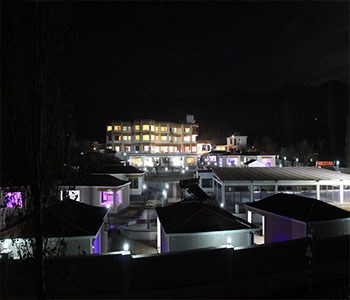 Restaurant having Indian, Chinese, Continental, Kashmeri and Ladakhi Food. 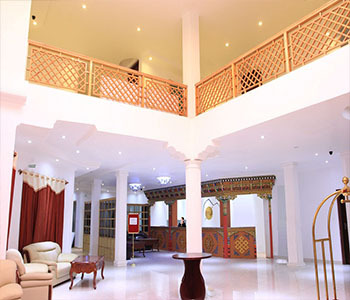 Upon Confirmation of the booking 50% of the Total Amount needs to be paid immediately as a Non Refundable Advance. The remaining 50% needs to be paid at-least 8 days prior to the Arrival date. If the cancellation comes within a week of the Arrival date, 100% of the total amount is charged as cancellation fee. No refund can be given for any unutilized services for any reason(s) what-so-ever. 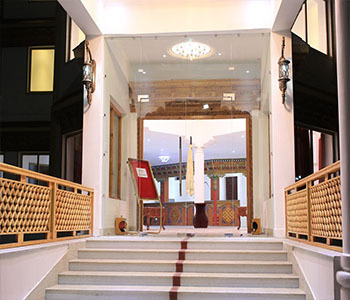 © 2015 tihindia.com . All Rights Reserved.